Just north of Soil & Seed Garden at The Farm is a coop full of Peeps! These egg laying-chickens provide fresh eggs for our dinner restaurant, Quiessence at The Farm. 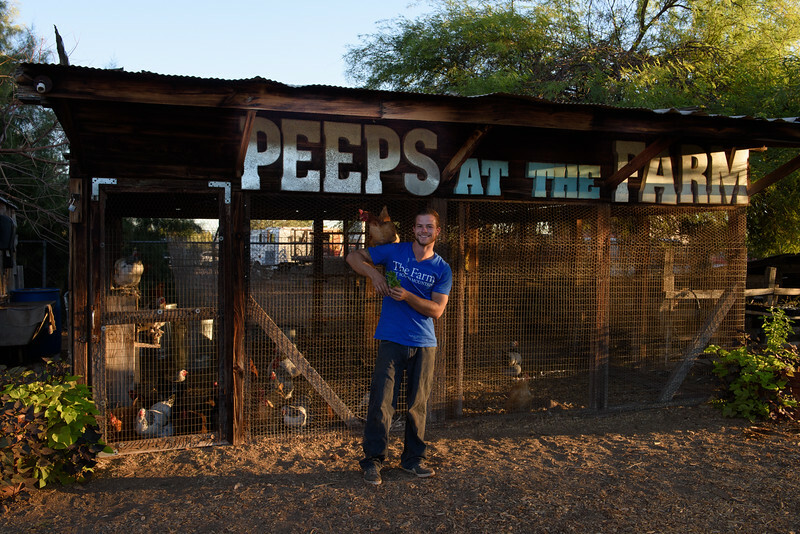 The growing cycle of Soil & Seed Garden ties directly into the nutrients that the chickens at Peeps are provided with. Each day scraps from the garden are fed to the chickens. This controlled diet from freshest produce provides some of the best eggs available in Phoenix! This cycle also helps to prevent food waste at The Farm.